Temple Gardens Hotel & Spa is located in downtown Moose Jaw, a destination that boasts historic buildings, a colourful past and a surprisingly sophisticated future. This small prairie city boasts the highest number of tourist attractions per capita in Canada and the best news of all is that most of these attractions are within walking distance of our hotel. From morning to night visitors can enjoy everything from vibrant concerts, to casino fun, to great local artists’ galleries, and a relaxed chat over Saskatoon berry scones and a cappuccino. 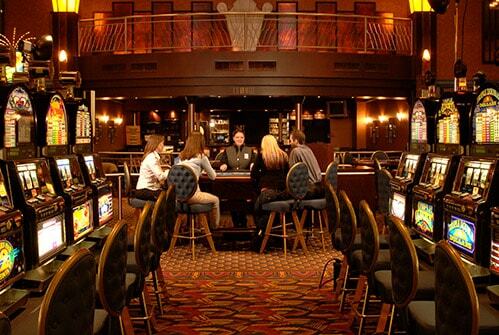 The best in indoor entertainment, Casino Moose Jaw has direct access from Temple Gardens Hotel & Spa and features authentic, themed decor, slots, tables and the latest in virtual tables. 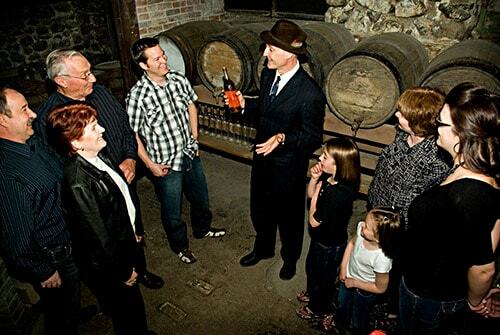 Immerse yourself in the past, discovering two very different periods in Moose Jaw’s rich, and somewhat chequered, history! Theatrical productions take you back in time to Al Capone’s bootlegging operation and invite you to relive the experience of an Asian immigrant put to work in the underground laundry. A unique attraction for the entire family. Enjoy a room at the Temple Gardens Hotel & Spa, experience the Tunnels of Moose Jaw and let us start you off with a stake for the Casino all in one package, starting at $99 per person per night. Big names, great shows and outstanding performances in a premium facility – that’s Mosaic Place, a venue that has welcomed such stars as Meat Loaf, Dolly Parton, and Carrie Underwood and hosted sporting events such as the Scotties Tournament of Hearts. This 210,000 sq. ft. facility features an entertainment/sports bowl, an eight-sheet curling club and function rooms to accommodate as many as 900 guests – and, it’s just two blocks from Temple Gardens Hotel & Spa. A magnificent, fully-restored live performance venue, the 420-seat Mae Wilson Theatre features theater, concerts, musicals, ballet, and film. Take a guided tour of Moose Jaw on a replica electric streetcar circa 1911 – 1932 as your tour guide explains the fascinating history of the downtown core as well as the modern-day attractions. Peruse our resident artist’s work, and afterwards, enjoy a home-cooked meal. Yvette Moore’s original artworks, including acrylic brushwork scenes of Saskatchewan, are on display alongside artisan jewellery, craft consumables and other mementoes of your visit. Japanese-inspired decor adds a special touch to the delicious homemade desserts, light bites, high quality coffees and Asian tea beverages served, from the perfect latté to an iced matcha. Known for serving 100 types of chicken wings and 80 famous milkshakes this restaurant’s name means “already seen”, but really, you’ve never experienced a menu quite like this! Featured on Canada’s Food Network, this is a hidden gem, serving simple, exceptional food. A warm, informal atmosphere combines with craft beers, single malts and seriously good comfort food to make a great dining choice. As lovers of good food ourselves, the staff at Temple Gardens Hotel & Spa gladly salutes the team at Bobby’s Place. A lively bistro atmosphere offers a blend of traditional and innovative dishes with cocktails and craft beers. See magnificent classic cars and trains as well as fully restored vintage aeroplanes. This is a celebration of human invention, with the emphasis on vehicles. Enjoy displays of art from all over the world, in the form of regularly rotating displays. See what collection is in town during your next visit. Shop for handcrafted Saskatchewan pottery made by a team of three highly skilled local artists. Glimpse authentic examples of Moose Jaw’s past in beautiful paintings on the sides of buildings throughout the downtown core. Some murals were advertisements for businesses that still exist today, while others depict celebrations of the city’s achievements. Rotating displays showcase the diverse range of artists in Saskatchewan, giving you the opportunity to find something truly special - perhaps even an art-form you’ve never seen before. See what a prairie village looked like 100 years ago and learn about the Finnish sailor who built a ship on the prairies, in this immersive journey into the past. Rest, play and experience the culture of Moose Jaw on this 28-acre park, opposite Temple Gardens Hotel & Spa, in view of many of our balcony rooms. Stunning hiking trails in the summer become cross-country skiing or snow shoeing areas in the winter. Be sure to check out the kayak rentals, play parks and famous summer Burger Cabin. This beautiful provincial park includes a swimming pool, beaches, hiking trails, fishing spots, marshes, grasslands, rivers and woodlands all providing shelter and homes for a variety of wildlife. You won’t find fresher produce than at the family-run operation known as Grandpa’s Garden. Featuring artisanal honey, “pick your own” berries and a market garden, these welcoming farm-marketers recently added honey wine to their repertoire. A splendid example of early 20th century industrialism, this National Historic Site has remained virtually unchanged since 1912 and offers the opportunity to view the brick-making process from clay to kiln. Don’t forget to visit the Bunkhouse Cafe and Gift Shop. Keep up-to-date on happenings at the Temple Gardens Hotel & Spa. © 2019 Temple Gardens Hotel & Spa. All rights reserved. Managed by Atlific Hotels.